Perhaps if you had questioned people outside of the auditorium immediately following Sony’s press conference, you would not be surprised to hear that they may have recently found religion, citing three miracles that they had just witnessed, during the conference itself, the first being one of the best openings to a press conference in the recent history of E3, Sony’s presentation of The Last Guardian. The Last Guardian looked amazing and the release date of 2016 makes this easily one if the more hyped titles of the show. The footage really showcased some of the lovely scenery and fascinating gameplay elements that made Shadow of the Colossus such a blast to play. The interesting mechanics in the gameplay surrounding your large feathered friend were partially seen, however, much remains shrouded in secrecy. Potential elements of puzzle solving and platforming may be just as enticing, if not more so, of the complete game. The worst part about The Last Guardian’s presentation may have been the fact that it actually ended. Indie titles abound at E3 every year, but none have looked so engrossing or garnered so much interest in recent memory as No Man’s Sky. The sheer scope of the game just seems to be insane, and the footage showed off some impressive eye candy to boot. Combat did seem a little clunky, however, the space battles themselves seemed appropriately epic and the exploration element seemed like it would promise fans many sleepless nights. Agent 47 is back, and his new game is simply titled Hitman. Developed by IO Interactive, the game will take Agent 47 to exotic locations around the globe in what has been described as “the most ambitious Hitman game ever.” While not an exclusive title, PS4 owners can boast six unique contracts within the first year after launch. Street Fighter 5 being a PS4 exclusive was already known, but we got Cammy and Birdie confirmed as playable characters in a short presentation. Media Molecule, known for its Little Big Planet series unveiled their new game, Dreams. Players will be able to use the controller to sketch virtual worlds and add in various landscapes, objects and characters. It seems to up the ante from its creation tools seen in its previous Little Big Planet games, which may have been robust, but had a steep learning curve. Dreams looks to bring virtual world building accessible to the masses, which has been the main barrier to entry for prospective world builders. Destiny: The Taken King DLC was given a release date of 9-15-15. Given the number of Destiny fans out there, even though this was a rather short announcement, this will probably generate a fair amount of hype as well. Up next was Firewatch, and while not too many details were given regarding the overall plot of the game, the trailer showcased some interesting narrative elements, between presumably the protagonist and another character. The narrative between the two felt natural and the graphics looked gorgeous. With its focus on strong narrative and a mysterious story, Firewatch seems ready to set Sony consoles ablaze when it releases. 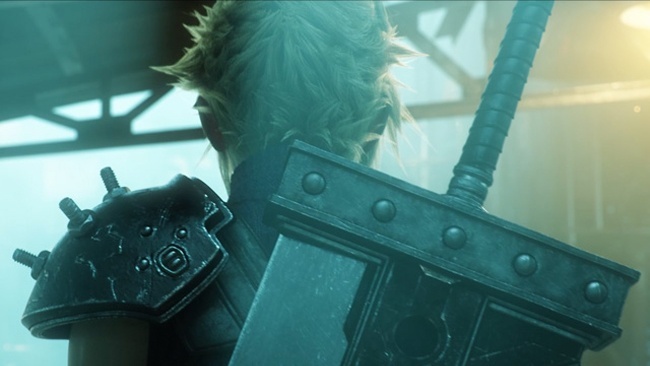 I have to say right here that I was never a big fan of Final Fantasy VII. I wasn’t big on the whole sci-fi pseudo meets sort of convoluted narrative involving a certain spiky haired protagonist. That being said, I must not be part of the majority, however, as fans have been clamoring for a proper remake since…. well probably since remakes became popular. The trailer itself was quite lovely and even though I didn’t fall in love with the original game, it may be a testament to its longevity and its graphical prowess that I want to play this new version. World of Final Fantasy, in comparison, featured some super cute versions of classic FF characters, though little concrete details about gameplay were released, it was announced that it would release exclusively for PS4 and PSVita in 2016, implying a timed exclusive. Four games from Devolver Digital are also coming to PS4: Ronin (a 2D stealth action game), Eitr (a pixel art character action game), Mother Russia Bleeds (a gory and brutal 2D brawler), and Crossing Souls, (an interesting action adventure game). It was also announced that PlayStation 4 owners would get exclusive DLC for Assassin’s Creed: Syndicate, in the form of The Dreadful Crimes. Missions based on The Dreadful Crimes have players solving crimes based on Sir Conan Doyle’s most famous detective. While this wasn’t explicitly stated, it was heavily hinted at. Sony also showcased an expansion to its TV offering, PlayStation Vue. It was announced that soon, users would be able to subscribe to individual, unbundled TV stations via the Vue service. At launch, it was announced that Showtime, Fox Soccer, and a channel based on Machinima. Interestingly, this announcement comes on the heels of HBO’s recent announcement to separate HBO from TV cable subscription services via its HBO Now app. RIGS, a new IP from Guerilla Cambridge was also announced. It is a 3 on 3 multiplayer first person shooter, set as an entry in the competitive world of esports with a focus on VR. The company is previously known for the development of the PS4 launch title, Killzone: Shadow Fall. Sony announced a deal with Activision that would bring all future Call of Duty DLC to PS4 first. It was also confirmed that the Black Ops beta would be coming to PS4 first this August. Speaking of Star Wars, Battlefield co-op was also shown. The footage featured some hot objective based survival multiplayer mode, with rebel forces defending a control point on Tattooine while defending against Stormtroopers and AT-ST Walkers. The trailer ended with the shot of an Imperial Star Destroyer sinking onto the surface of the planet. 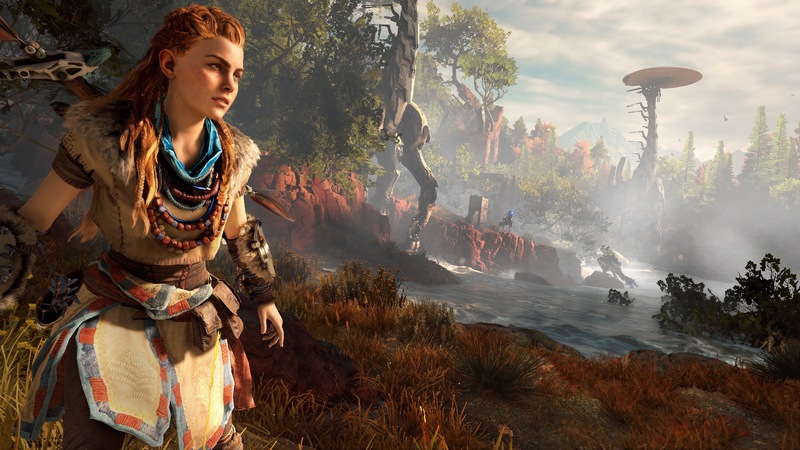 We also got to see Guerilla Games’ new IP, Horizon: Zero Dawn. The game takes place in a post apocalyptic world where society is rebuilding from the ground up. Focusing on society as a tribal culture, who apparently consider the fallen civilization, “The Old Ones.” The wildlife looked like an interesting blend of organic and mechanical elements and boasted some impressive graphical power to boot. Finally, we saw some lengthy gameplay of Uncharted 4. In true melodramatic fashion, we witnessed Drake and Sully in a truly outstanding chase sequence, ending in a climax that was apparently so powerful, it ended the presentation. The most amazing part about the Uncharted footage was just how much it seemed like the daily commute to work most Los Angeles residents face every morning. There was also mention of crowd funding for Shenmue 3, to numerous cheers. The testament of gamers’ excitement for more Shenmue can be measured by the fact that funding opened immediately after the conference and promptly crashed Kickstarter, with the number of donations, says a lot about not only the popularity of Shenmue, but also about the state of gaming in general. If Microsoft’s show was more about staples and familiarity, in contrast, Sony provided a fresh breeze of new and innovative gaming experiences, or familiar gameplay elements utilized in provocative new ways. Almost all of Sony’s games looked to build new bridges, in regards to the arts of storytelling, exploration, drama and experiences. Even familiar territory (Destiny, Uncharted, Final Fantasy), seemed to up the ante, with increased tension and a more thrilling ride than ever before. There was plenty to get excited about during Microsoft’s conference, but Sony, seemingly knowing that it needed a big presentation, came out swinging for the fences and hit a homerun with many of its titles. Criticizing Microsoft for familiarity while not admonishing Sony for it may seem unfair, but Sony mixed the familiar with the fresh, to give a truly balanced and impressive presentation overall. It seems like PlayStation owners have a lot to look forward to within the coming year.